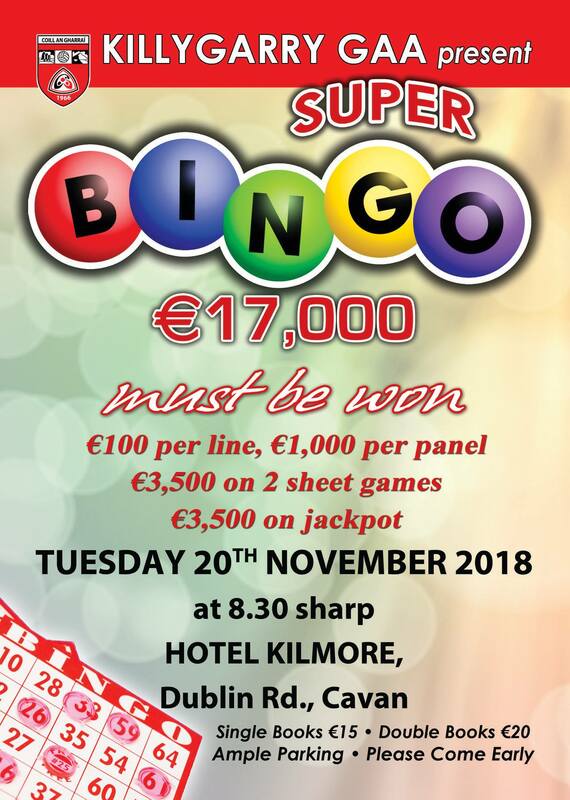 Our Super Bingo night takes place on Tuesday 20 November 2018 at 8.30pm in Hotel Kilmore, Dublin Rd, Cavan. €100 per line, €1000 per panel. 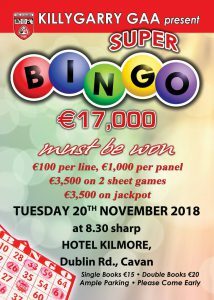 €3500 on 2 sheet games. Ample Parking. Please come early.